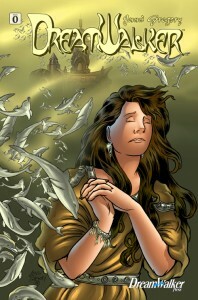 DreamWalker #0 is now available for download! Got a cool gadgety tablet or smart phone? Then whatcha waiting for?!! Go download one of my comics!! DreamWalker #0 is now available for digital download! BEST OF ALL? It’s FREE! Yep! Download the book and let me know what you think! Sad part is now I’ve got to scan a lot of the old issues from the early DreamWalker series and get those up and IndyPlanet and IndyPlanet digital. For a lot of them I no longer have the art, and who knows where the digital files are. Clicking the cover will also take you to the downloadable file.